Current Location: New York, New York. Place Of Birth: San Francisco, California. Vasili Gavre has remixed for Justin Timberlake, Fisher Spooner, Robin Thicke, Yelle, Esthero, No Doubt, M.I.A. and more. He produced for EMME & The Swedes, Red Robot, Birds Of A Feather and Sneaky French Province. Under the name ‘HEARTME’, Vasili is producing an album with production partner Marc-Alan Gray featuring Andy Rourke of The Smiths! From San Francisco, Vasili grew up studying piano and music theory. In high school he helped mix live sound for The Beastie Boys, The Roots and DJ Shadow as an intern at the Justice League. In College, Gavre started the multi-media production company, Divercity Productions LLC, which lead to wildly popular weekly events and a gig in Europe as DJ for Cirque Du Soleil premier parties. 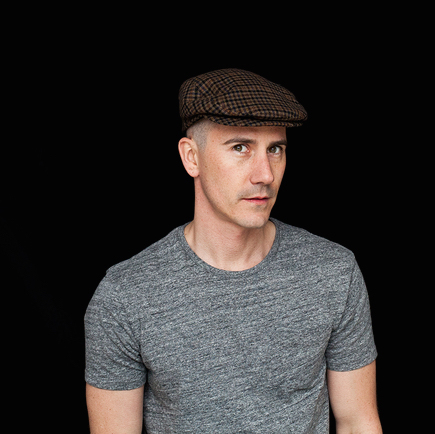 After a number of successful singles releases, Gavre moved to New York to work full-time as an assistant manager for artists such as Moby, Rufus Wainwright and Kaskade. Even then, Gavre continued to write and produce, which resulted in “Do You Have A Girlfriend” – a track that caught the attention of JIVE Records as a possibility for Britney Spears. He then began pitching his own songs to new artists and Toby Gad - the songwriter for Fergie’s “Big Girls Don’t Cry”. Through Vasili’s collaboration with producers and artists, commercials began to license his work. Next, he worked as a producer at Crushing Music where he developed a deeper appreciation for the ad world and ever-evolving music industry. Today, Vasili Gavre leads the Sound Foundation team in concept and motivation as the music supervisor – spearheading ways for new music to reach more people.